Japan Media Arts Festival 2016 is a comprehensive festival of media arts which honors outstanding works from a diverse range of media ranging from animation and games to comics and media arts. 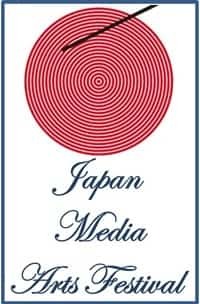 The Festival was started in 1997 and 18th Japan Media Arts Festival received 3853 entries from 71 countries around the world. The award winning works are exhibited in Japan as well as in other countries by the means of various projects and events. Art Division: Includes Interactive art, Media installations, Media performances, Video installations, Video works, Graphic art and Internet art. Entertainment Division: Includes Games, Video / sound works, Multimedia productions, Gadgets, electronic devices, Websites and Application software. Animation Division: Includes Animated feature films, animated series and Animated short films. Manga Division: Comics published in book form, comics published in a magazine, Self-published comics and Comics published online. There is no participation fee and an applicant can submit any number of entries in any category but a single entry can not be submitted to multiple categories. The winner of Japan Media Arts Festival 2016 will be awarded a cash prize of 600,000 Japanese Yen along with Certificate and Trophy. Nationality: Japan Media Arts Festival is open for citizens of all nationalities. Copyright: The copyright of the work need to be with the entrant and in case the work is being submitted by a representative, permission from the copyright owner is must. Excellence Award: Certificate from Minister of Education, Culture, Sports, Science and Technology, Japan, cash prize worth 300,000 Japanese Yen (Approx. 150,000 INR) and a Trophy will be awarded to the winner of Excellence Award. New Face Award: A Trophy, cash prize of 200,000 Japanese Yen (Approx. 100,000 INR) will be given to the candidate along with a certificate from Minister of Education, Culture, Sports, Science and Technology, Japan. Special Achievement Award: To the contestants entitled to Special Achievement Award will get a certificate from Minister of Education, Culture, Sports, Science and Technology, Japan along with the trophy. Step 1- Registration: The applicant need to go to the entry website; enter email id and password to complete the registration process. Complete the registration process by entering the details asked in the application form. A verification mail will be sent to the registered email account. Step 2- Enter information related to artist & work: Follow the link given in the confirmation mail, select the division and enter details of the artist & work in the following manner: Artist information: Artist’s name, birthday, nationality, country of residence, etc. Work information: Title, screening category, category, date of release or completion, brief summary, etc. The decision regarding the winning entries will be taken by an expert panel having renowned experts from relevant fields. Result: The announcement of the result will be done in late Mid March 2017.